Hey! So sorry for the lack of posts this week. I’ve been traveling for work and for play, AND, I’ve been slammed with all the things necessary to launch the new Food Stylist Directory. You can treat the Food Stylist Directory pretty much the same was as you do the 101 Best Food Photographers page. There is some really great food photography on all of their pages. Look at it this way, each stylist works with multiple quality food photographers so they each have a ton of different professional food photos to pick from, to populate their page. 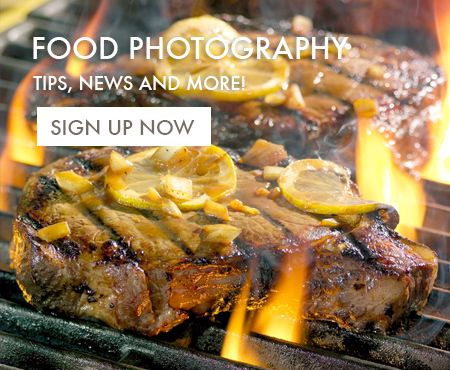 This directory has proven to be a valuable resource over the years and if you’re thinking about being a professional food photographer, you’ll most likely be needing this resource at some time in the future. You might want to bookmark it. There are a few stylist that I need to add to the featured food stylist list, but for now, this is a pretty good list. In the future, I’ll be adding additional features to the page, like maybe a blog and stylist interviews. Never worked with a food stylist but would like to maybe do some portfolio shooting? AND!!!!! If you know of any food stylist that I don’t have listed here, please email me so that I can make this a complete list of all the food stylists on the planet Earth! Hi, I’m a Belgian food stylist. This is a great idea… would you mind adding my name to the Australian list? Please feel free to add yourself. That way, you can make sure that all the info is listed.